When it comes time to purchase a new grill, why go with one that can only...grill? Whether you need to grill, smoke, or even bake, the Gourmet Guru Grill can take your food to a whole new level by letting you be in charge of how you want to prepare your food. Are you ready to try something new? Check out these summer inspired recipes that will have your taste buds wanting more! YUM! GRILLED PIZZA IS ON THE MENU TONIGHT! 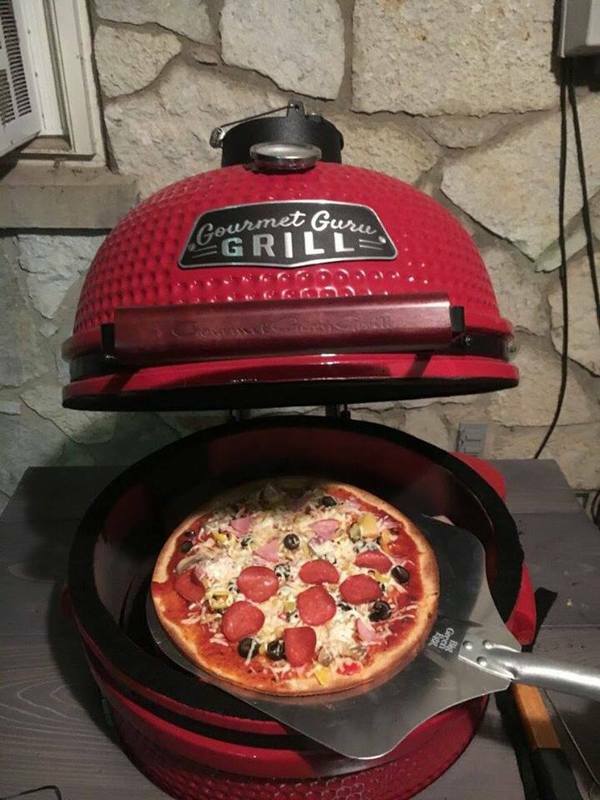 When it gets too hot to turn on the oven inside, then head outdoors to your Gourmet Guru Grill. If you want something fast, delicious, and enough to feed the family, then have a Grilled Pizza Night. Keep it simple by grabbing your favorite 12” store bought pizza or bump it up a notch and really make it your own with fresh ingredients on a homemade crust. Before you put the pizza on the grill there are a few steps you want to take. - Preheat your grill until it reaches about 375-400 degrees F.
- Once the heat is just right, place your Guru Ceramic Plate Setter on the grill. Place your pizza stone on top of the plate setter. Allow them to heat up for about 20 minutes before placing your pizza on the grill. - Once everything is preheated, sprinkle a small amount of cornmeal onto the pizza stone and then add your pizza. - Bake the pizza for about 7 minutes. Check to see how the cheese is melting and the toppings are cooking. You may need to give your pizza a quarter turn and cook for an additional 7 minutes. Don’t limit yourself or your taste buds to just grilled meat and veggies. Try putting fruit on the grill. One fruit you should definitely try grilling is the peach. Just cut the peaches in half and remove the pit. Brush an oil of choice such as butter or coconut oil on both sides. Place them on the grill, cover the grill, and cook the peaches until they have nice charred marks on each side. 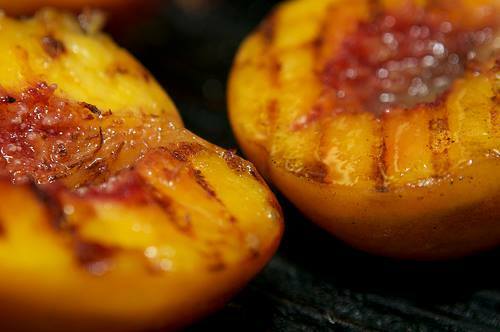 There are several simple recipes out there for grilled peaches. You can toss the grilled peaches with leafy greens, almonds, and a sweet vinaigrette for a savory summer salad. You can even create a peach salsa or really add the word “gourmet” to your dessert by adding the grilled peaches your homemade vanilla ice cream. The possibilities are endless. GET TO GRILLIN’ WITH THE GOURMET GURU GRILL TODAY! If you are ready to step up your grilling game, then you need to make sure you are grilling with the best. For those just starting out, Gourmet Guru Grill offers the Guru Grill Kit. It comes complete with everything you need to get started such as the Original Guru Grill, the new Metal Cart Table, Ceramic Plate Setter and Electric Lighter. And for those who already have a Gourmet Guru Grill, don’t forget about our cabinets specifically made for the Gourmet Guru Grill and our accessories such as the Ceramic Plate Setter and Stainless Steel Basket. Need to see this red beauty in person? Then find a dealer near you today by using the DEALER LOCATOR on our website. Is quick and easy! Happy Summer Grilling!